This entry was posted in EMC Papers on April 25, 2014 by tony. 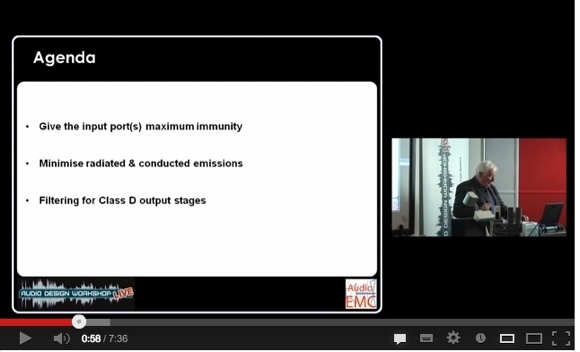 Register for the live webinar or recording or join us in the room! Prism Sound and Oxford Digital, in conjunction with Texas Instruments, CJS Labs and Audio EMC, invite you to join this audio engineering masterclass from the Cogswell Polytechnical College in Sunnyvale, CA. It is a unique opportunity to hear from some of the most experienced engineers in the industry and to learn about their practical experiences in analogue and digital audio design. See the latest developments in technology, and profit from the many decades of collective experience of our panel of experts. Join us in the room or via live or recorded web cast. This entry was posted in EMC Papers on March 13, 2014 by tony. Prism Sound and Oxford Digital, in conjunction with the AES, Texas Instruments, Klippel, LOUDSOFT and Audio EMC, invite you to join our audio engineering masterclass via LIVE webcast feed from the 51st AES conference in Helsinki. This is a unique opportunity to hear from some of the most experienced engineers in the industry, and to hear about their practical approaches to analogue and digital audio design. See the latest developments in technology, and learn from the many decades of collective experience of our panel of experts. Klippel will discuss ongoing efforts to define and develop meaningful audio performance metrics for today’s smart devices. 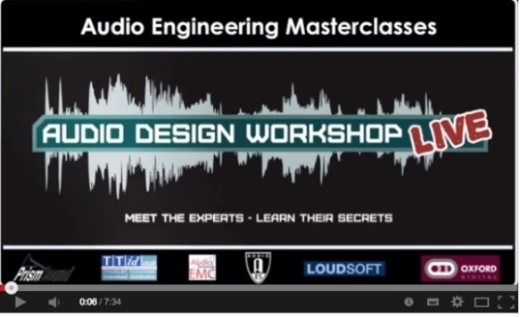 LOUDSOFT will explain to us how the loudspeaker development process can be greatly streamlined with modern CAD tools. Oxford Digital will show us how the application of DSP techniques can maximise compact loudspeaker performance for a given budget and footprint. Texas Instruments will address the performance benefits afforded by a system-level approach to active loudspeaker design. Prism Sound will demonstrate how modern digital audio analysis techniques can provide far greater and more rapid insight into system performance. 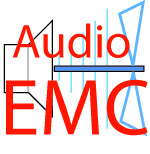 Audio EMC will provide practical solutions to the often-overlooked problems of electromagnetic interference and its impact on audio system performance. If you would like to attend the full 51st AES conference in person, please visit the AES website to register. Register and attend the event for a chance to WIN these $480 Shure Earphones! All registered attendees of this event will also be entered into a prize draw to WIN a brand new pair of Shure SE425 Sound Isolating Earphones worth $480 so be sure to register for your chance to win. Prism Sound publishes news and product information about each of its business areas, namely Music Recording & Production,SADiE, Test & Measurement and Logging Recorders. You can subscribe to any or all of these. This entry was posted in EMC Papers on July 26, 2013 by tony. When I first started to consider how to find sources for radio frequency interference (RFI) in audio systems, my natural instinct was to look for frequencies that were being transmitted on purpose. But it turned out that the most disruptive RFI sources were not designed or intended to transmit radio waves – they did it by accident! What was even worse, was the fact that most of the really bad sources of interference tended to be inside the physical system. Anyone working in Broadcast, Recording, Live-Sound or Theatre, soon finds out that lighting control systems create a lot of wide band electrical noise and that the noise varies with the brightness of the lights. However, it is not immediately obvious that part of the noise is radiated (like radio waves) and part is coupled to the system wiring by electromagnetic induction. During the last 20 years of the 20th century, the advent of motor driven lighting equipment, power flying, stage machinery and computers, forced national standards authorities to do something about the problem. In Europe, this is called the Electro Magnetic Compatibility Directive (EMCD). More recently, we need to be able to cope with the cell ‘phone. This entry was posted in EMC Papers on March 22, 2013 by tony.